Ichika, in her spaceship, talks about dreaming of a certain landscape, when her ship hits debris, and crash lands on Earth. Back in the present, Ichika tries to explain what’s going on and somehow is able to convince Kaito’s sister and Kanna without blowing her cover. In fact, Kaito’s sister is so impressed she offers Ichika to stay there over the summer. The next day, everyone meets to talk about the film, but Remon ends up getting everyone drunk and then getting them to do crazy things by playing the King game. Well, we find out why Ichika has come to Earth, and it’s actually kind of lame: she saw some scenery in her dreams, and somehow figured out it was on Earth, so here she is. We also learn that she’s pretty much stranded here. That doesn’t really explain how she was able to transfer into school, but not have a place to stay ready, though. However, at the rate she’s being careless with her explanations and all, it seems like it’d only be a matter of time before she outs herself as an alien, at least one would think. Meanwhile, Remon is pretty much Ichigo from Please Teacher/Twins to a tee, except she has a different name. Virtually everything else about her seems identical. Otherwise…there didn’t seem to be much in this episode. This episode has kind of disappointed me a bit after two episodes, though hopefully it’ll get better. I kinda would like to see Kanna not get screwed with her feelings for Kaito, but I kind of feeling that’s where the series is going right now. 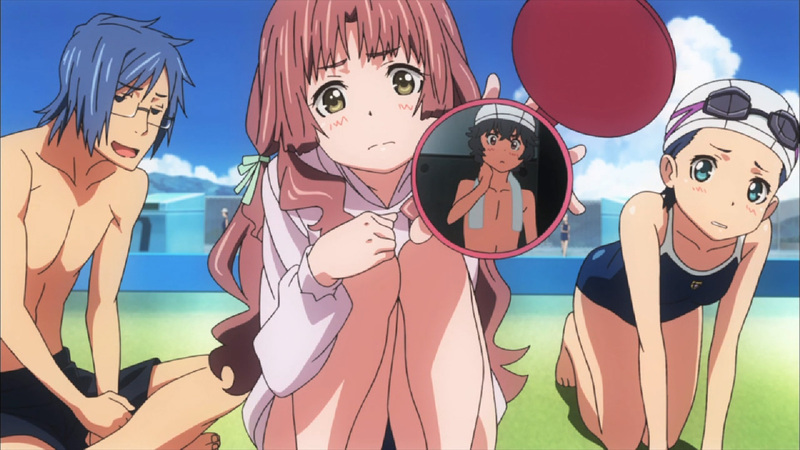 So this is the first new series from the winter season I’m blogging: Ano Natsu de Matteru, or Waiting in the Summer. This is from the makers of the Onegai series, and I liked Onegai Twins, and there didn’t seem much better out there to watch, so I’ll give this one a shot. A boy, Kaito is out filming a night when a giant energy beam impacts near him, injuring and throwing him into a nearby river. A hand reaches out to grab him when he suddenly wakes up in his room the next morning, just fine. The next day, a red headed girl named Ichika transfers to his school. Kaito’s friend Tetsuro invites Ichika to be part of a movie (that Kaito hasn’t even decided to make yet) they’re making that summer, and she agrees, with Ichika’s first friend Remon agreeing to direct. Kaito’s other friends Mio and Kanna also agree to be in the movie. After school, Kaito accidentally invites Ichika to stay over at his house for the night. There, Kaito has a flashback of the night before and has a large rash, and Ichika rushes to help him. Then Kaito’s sister and Kanna walk in on Ichika, in a towel, kissing an unconcious Kaito, with an alien energy field around them. It's time to meet everyone! So that was a rather long description, but a lot kind of happened in this first episode. 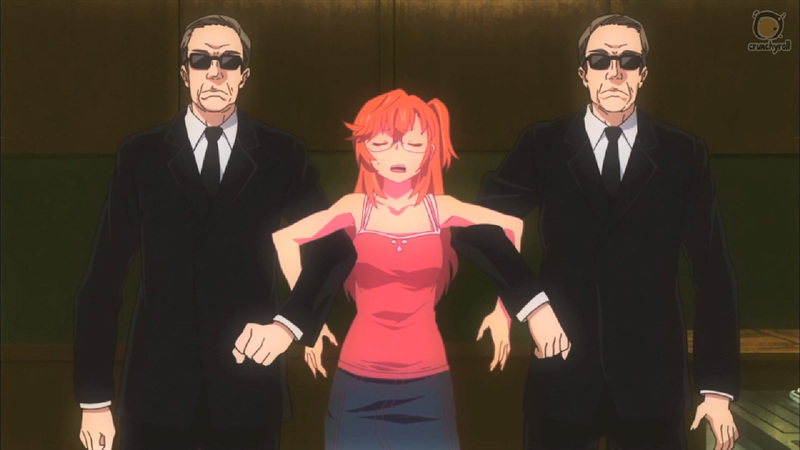 It was rather obvious from the start that Ichika is some sort of alien, with her not really knowing how to act or even look in the area. We have no idea for what purpose she has come to visit the area, however, though it seems to be on enough of a whim that she didn’t even bother to prepare a place for herself to stay. We then have Kaito, who is somewhat reserved, but is pumped about video recording. He also appears to have been healed by Ichika, and process that appears to be imperfect. One has to wonder whether this will be a continuing problem through the series. Then there are Kaito’s three friends. There is Tetsuro, who so far is your standard guy friend who causes Kaito trouble by getting him into situations. Then there is Mio, who as of right now appears to be your standard shy Moeblob, and then there is Kanna, who shows flashes of tsundere and who has a pretty obvious crush on Kaito, and is clearly not happy about Ichika’s arrival and Kaito’s immediate attraction to her. The influences of the Onegai series are clearly here. We have Remon, who is clearly designed after Ichigo from Onegai, and there is Ichika’s alien friend, who appears to be similar to Marie from Onegai. 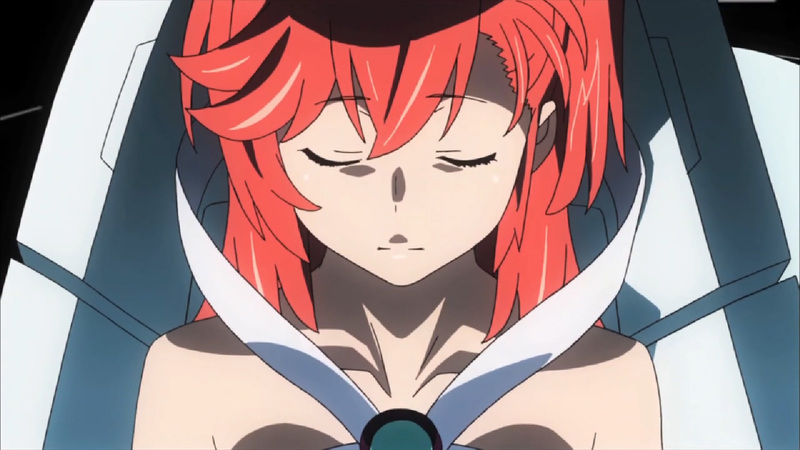 In a sense, even Ichika is more than a little similar to Mizuho, the red-headed alien character from the Onegai series. Overall, this first episode seems pretty promising for the series so far. We have appealing characters and a developing plot line that doesn’t seem all that bad right now. Hopefully it stays on this promising track.